A leading London-based firm named Turkey’s national flag carrier Turkish Airlines as the country’s most valuable brand for 2018. 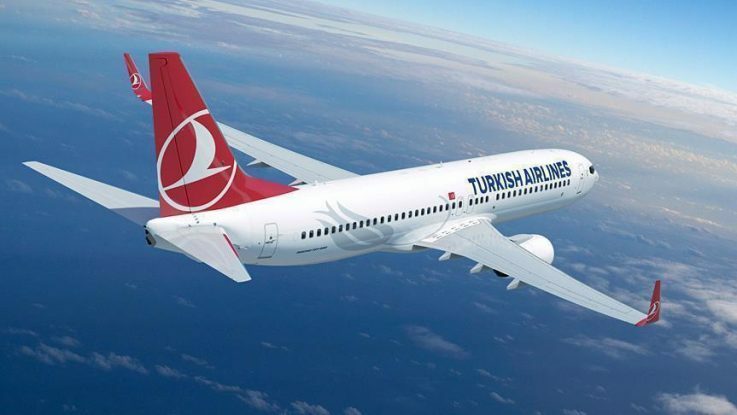 Turkish Airlines raised its brand value by 6 percent in 2018 compared to last year, it said. Integrated telecommunications service provider Turk Telekom lost its lead as the most valuable brand of 2017 as its brand value dropped 27 percent year-on-year in 2018. Brand value of Turkish telecommunication giant dropped to $1.9 billion in 2018, down from $2.6 billion last year. Akbank, a private Turkish lender owned by Sabanci Group, and Garanti Bank, another lender in the Turkish market partly owned by Spain’s BBVA, retained fourth and fifth places on the list with $1.65 billion and nearly $1.6 billion, despite increasing their brand values from last year. Leading Turkish defense contractor Aselsan posted the highest hike in its brand value among Turkey’s top 100 firms, up 91 percent from 2017. Thus, Aselsan rose to 28th place from 34th spot in the list. The survey also showed that Besiktas has been ranked as the most valuable Turkish football club with $121 million. It was followed by Fenerbahce ($102 million), Galatasaray ($74 million) and Trabzonspor ($33 million). Brand Finance revealed that total worth of Turkey’s 100 most valuable brands stood at $27.5 billion this year, almost unchanged compared to last year, according to the survey. Muhterem Ilguner, managing director of Brand Finance Turkey, told Anadolu Agency that Turkish economy’s annual growth of 7.4 percent in 2017 positively effected the listed companies’ profitability and revenues however limited by loss in lira last year. Ilguner highlighted that the total value of Turkey’s 100 most valuable brands hovered around to $25-35 billion in the last eleven years. “None of Turkish brands ranked in our Global 500 list this year,” he said, adding all these indicators show Turkish brands did not grow at an expected rate. Ilguner pointed out that services sector dominates Turkish companies’ brand values. “When Global 500 list are examined, industrial sector constituted 70 percent of the total value and 30 percent by services sector. In Turkey it is reverse,” Ilguner said. Noting that number of banks in the top ten dropped to four banks in 2018, down from six last year, Ilguner said banking sector’s share stood at 34 percent in top 100 companies. “Seeing brands from industrial sector at top spots is pleasing. It is possible to gain strength and value in a short time with innovative and technological products,” he said.